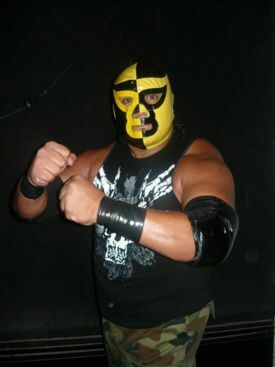 IWRG's 2008 and on version of Pierroth's son, debuting shortly after the previous Hijo de Pierroth changed his name and it had been declared there would be no more Pierroth's. This Pierroth has never quite been explained. Won the IWRG Rey del Ring championship title from Mascara Ano 2000 Jr. on March 28, 2009, though the actual belt presented appears to be the IWRG Welterweight Championship. Has floated in and out of IWRG ever since. May have been the Hijo de Pierroth who beat Joe Lider for his hair on Christmas Day, 2010, but that's never been clarified. This page was last edited on 3 April 2011, at 14:13.